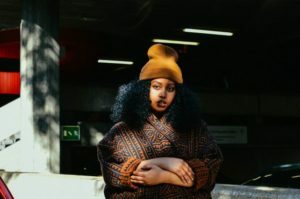 Before any of the multiple directors, producers, or collaborators were credited at the end of Lemonade, Beyoncé paid tribute to Warsan Shire, the Kenya-born, Somali-British poet whose prose is read throughout the film. By now we know what this means: Queen Bey would like you to take note of this name. Beyoncé made a similar sensation of Chimamanda Ngozi Adichie when she sampled Adichie’s TED Talk, “We Should All Be Feminists,” in her 2013 song “Flawless.” The Nigerian author quickly became a household name, and her speech was later published as a pretty little book. The volume became a coffee-table staple for many young women—not to mention required reading in Swedish high schools. As it happens, Shire, who is 27, is not exactly a newcomer. She was named London’s first-ever Young Poet Laureate in 2014, having published her first book of poems, Teaching My Mother How to Give Birth, in 2011. Her work has also been translated into several languages, including Italian, Spanish, and Portuguese.